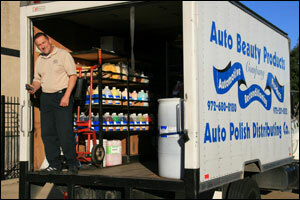 At Auto Beauty Products Company, we believe that each of our employees play an important role in the growth and success or our business. We are an equal opportunity employer with a diverse company culture in a family business-oriented environment. We normally have positions open for Sales Representatives and General Warehouse. We are always looking for more outstanding people to join our team, so if you are an industry-experienced, outgoing, challenge-driven, self-motivated person please do not hesitate to contact us!.